I lead the Constraint Reasoning and Optimization Group at the University of Helsinki. to work with us on forefront research problems within the Constraint Reasoning and Optimization Group. For more information, contact me by email. Disclaimer: Apart from truly exceptional cases, internships are only available to student locally in the Helsinki region. I am not able to respond to every international query about internship opportunities. In case you are interested in a postdoc position and already have a proven track record in (PhD-level) research areas closely related to my group's work, feel free to contact me by email with your CV to enquire possible opportunities. See also recent work for new publications. I will chair together with Daniel Le Berre the 10th Pragmatics of SAT workshop. I am editorial board member of Journal on Satisfiability, Boolean Modeling and Computation (JSAT). In 2019, I am on the senior PCs of IJCAI 2019 and AAAI 2019, and on the PCs of SAT 2019, UAI 2019, CPAIOR 2019, ICML 2019, NeurIPS 2019, SoCS 2019, ICTAI 2019 SAT/CSP track, and SAC 2019 KRR track. Further activities are listed here. I am involved in organizing MaxSAT Evaluation 2019 and SAT Race 2019. 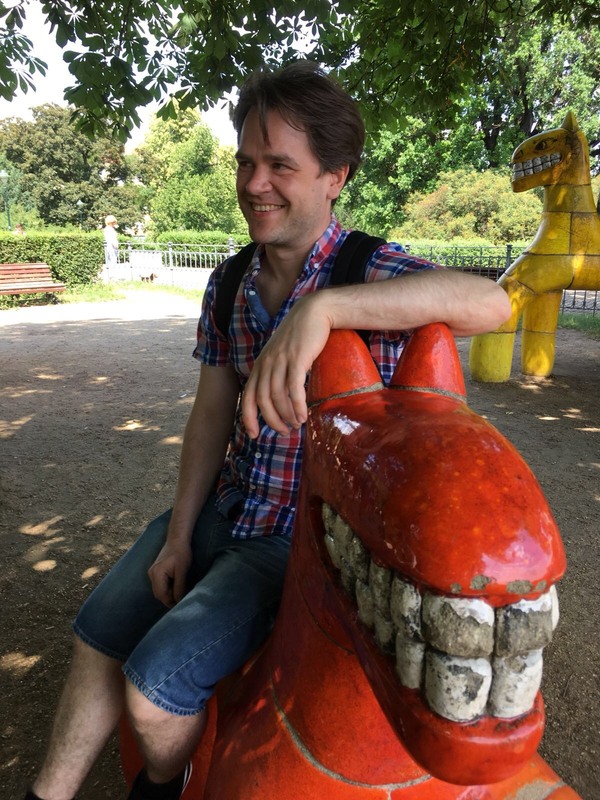 Starting 1/2018 I'm on the University of Helsinki tenure track as Associate Professor of computer science. My Academy of Finland project Decision Procedures for the Polynomial Hierarchy, Boolean Optimization, and Model Counting (9/2014-8/2019) is funded under the Academy Research Fellow scheme. I gave a keynote talk at 2nd International Workshop on Systems and Algorithms for Formal Argumentation (SAFA 2018), Poland. My project Harnessing Constraint Reasoning for Structure Discovery ran for the years 2015-2018 under the three-year research project funding scheme of the University of Helsinki. I was a member of the COIN Finnish Centre of Excellence in Computational Inference Research (2012-2017). I served on the steering committee of SAT during 2013-2017. I gave a AAAI 2016 tutorial Algorithms for Maximum Satisfiability with Applications to AI together with Fahiem Bacchus. I was Guest Editor (with Marijn Heule) of a special issue of Journal on Satisfiability, Boolean Modeling and Computation in 2014-2015. I was PC Chair of SAT 2013 - 16th International Conference on Theory and Applications of Satisfiability Testing, July 8-12 2013 in Helsinki, Finland. I was conferred the title Adjunct Professor (dosentti in Finnish) in computer science at University of Helsinki in May 2012. I received the Best Researcher Award in 2011 by the Department of Computer Science at University of Helsinki. I was the PI of an Academy of Finland Postdoctoral project during 2010-2013. During April-September 2009 I visited Prof. Armin Biere's Institute for Formal Models and Verification at Johannes Kepler University Linz, Austria. I defended my doctoral thesis Structure-Based Satisfiability Checking: Analyzing and Harnessing the Potential in November 2008. The official opponent was Prof. Bart Selman (Cornell). Pre-examiners were Prof. Paul Beame and Prof. Joao Marques-Silva, and the supervisor Prof. Ilkka Niemelä. M. Järvisalo, A. Van Gelder (eds. ), LNCS 7962, Springer, 2013. Keynote talk at 2nd International Workshop on Systems and Algorithms for Formal Argumentation (SAFA 2018), Poland. SAT: International Conferences on Theory and Applications of Satisfiability Testing, 2013-2017. 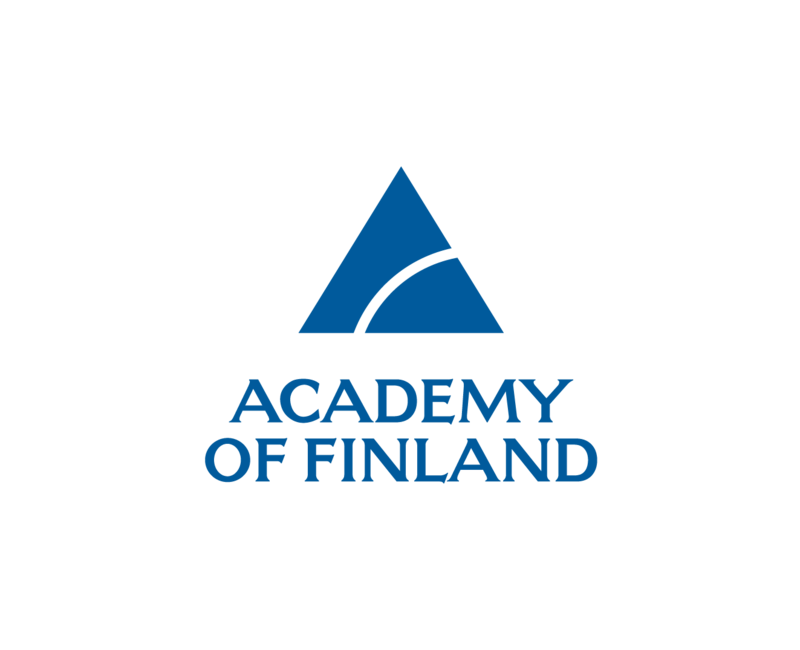 Research grant for project "Decision Procedures for the Polynomial Hierarchy, Boolean Optimization, and Model Counting", Academy of Finland (Academy Research Fellow 9/2014-8/2019). Research grant for project "Harnessing Constraint Reasoning for Structure Discovery", Research Funds of the University of Helsinki (1/2015-12/2017). Research grant for project "Extending the Reach of Boolean Constraint Reasoning", Academy of Finland (Postdoctoral project 1/2010-4/2013). To prospective students: If you're interested in conducting research aiming at a thesis under my guidance, feel free to contact me via email. To get a feel for possible topic areas, see my research interests above. You can also have a look at my publications. Seminar on Computational Social Choice (3 ECTS), autumn 2016. MSc-level seminar course based on the recent Handbook of Computational Social Choice. Topics included voting theory, fair allocation, coalition formation (matchings and hedonic games), and automated theorem discovery. Satisfiability, Boolean Modeling and Computation (5 ECTS), spring 2016. Central computational aspects of SAT, focusing on techniques that are important for modern real-world applications of SAT. Topics included: basics of propositional logic and computation; modern SAT solver algorithms and search techniques; preprocessing; modelling real-world problems as SAT; building complex SAT-based procedures for Boolean optimization and other search problems beyond NP. Seminar on Tractability (3 ECTS), autumn 2015. MSc-level seminar course based on the recent book Tractability: Practical Approaches to Hard Problems. Fundamental concepts and state-of-the-art techniques to tame intractability. Topics included: tractability in terms of graphical structures underlying problems, language restrictions, approximation algorithms, and kernelization methods, as well as utilizing heuristics in modern SAT-solvers. Central computational aspects of Boolean satisfiability (SAT), focusing on techniques that are important for modern real-world applications of SAT. Seminar: Constraint Solving Meets Machine Learning and Data Mining (3 ECTS), spring 2013. A snapshot into the current state of forefront research in the intersection of constraint solving, machine learning and data mining. Discrete Optimization Project (2 ECTS), spring 2012. Independent hands-on project work in the areas of constraint satisfaction and discrete optimization, involving problem modelling, algorithm implementation, and/or practical performance evaluation of search and optimization algorithms within a chosen topic. Discrete Optimization (3 ECTS), autumn 2011. Combinatorial search spaces and optimization problems. Exhaustive and heuristic methods. Linear and integer programming. Seminar on Boolean Constraint Reasoning (3 ECTS), autumn 2010. 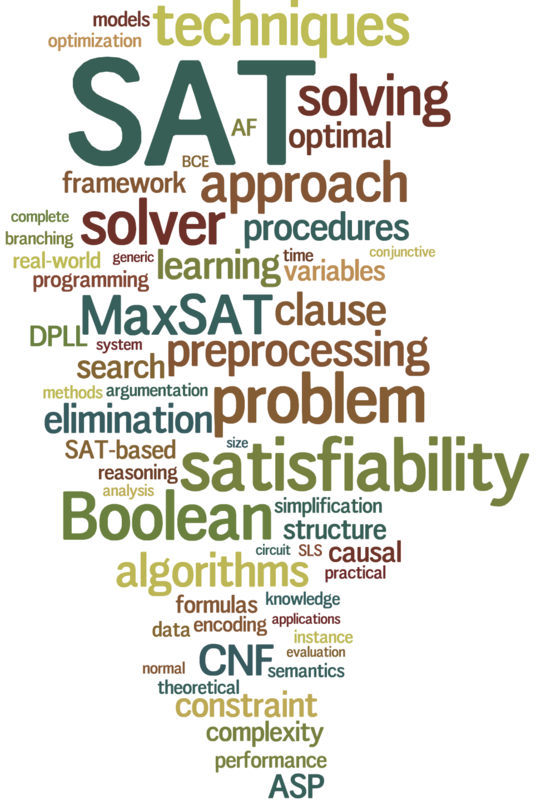 Theoretical and applied aspects of Boolean satisfiability, SAT solvers and their extensions.